The Capital Regional Development Council (CRDC), recently closed a deal to help support a leading manufacturer expand its corporate headquarters. Corflex, a manufacturer of orthopedic rehabilitation products is a well known name and respected brand in the orthopedic industry. Over the last decade, Corflex experienced a surge in national sales and distribution increasing their need to expand their Manchester based office. A strong strategic vision, smart financial planning, and patience allowed brothers, and co-owners, Paul and Ted Lorenzetti to develop their now 29,000 sq ft building in stages. The most recent addition and probably the most crucial to Corflex’s operations is the 9,000 sq ft. expansion of their manufacturing center and warehouse. “We are exactly where we want to be, it took us time but we are finally here,” said Paul Lorenzetti, Corflex CEO. “We were very happy with the financing process,” added Lorenzetti. “As with any loan there is paperwork but CRDC and Centrix really collaborated to make this a seamless process for us, allowing us to stay focused on our business. 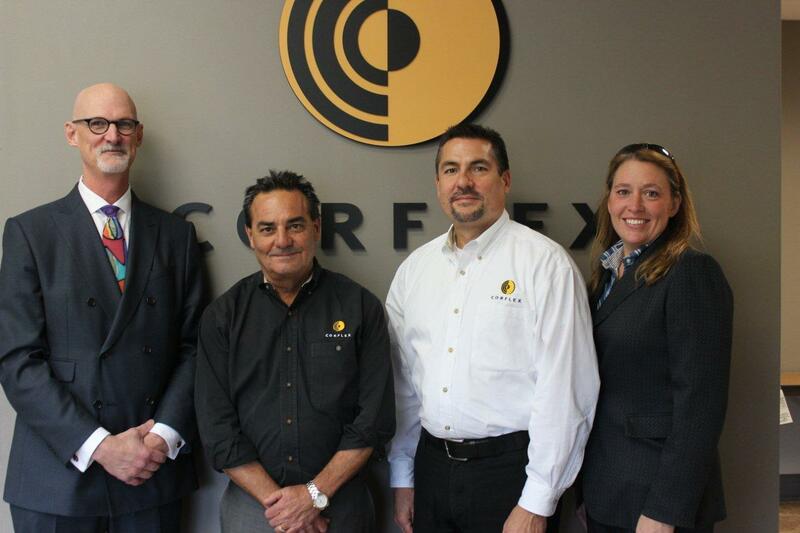 PHOTO: CRDC's Stephen Heavener and Jennifer Boulanger with brothers and Corflex Owners, Ted and Paul Lorenzetti.